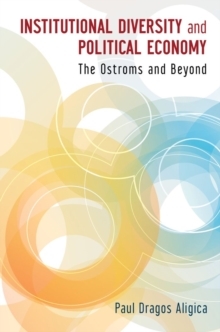 Challenging Institutional Analysis and Development demonstrates the importance of one of the 2009 Nobel Prize in Economics winners Elinor Ostrom's research program. The Bloomington School has become one of the most dynamic, well recognized and productive centers of the New Institutional Theory movement. Its ascendancy is considered to be the result of a unique and extremely successful combination of interdisciplinary theoretical approaches and hard-nosed empiricism. 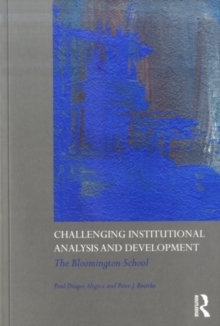 This book demonstrates that the well-known interdisciplinary and empirical agenda of the Bloomington Research Program is the result of a less-known but very bold proposition: an attempt to revitalize and extend into the new millennium a traditional mode of analysis illustrated by authors like Locke, Montesquieu, Hume, Adam Smith, Hamilton, Madison and Tocqueville. As such, the School tries to synthesize the traditional perspectives with the contemporary developments in social sciences and thus to re-ignite the old approach in the new intellectual and political context of the twentieth century. 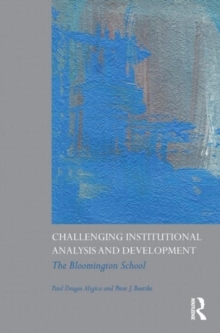 The book presents an outline and a systematic analysis of the vision behind the Bloomington Research Program in Institutional Analysis and Development, explaining its basic assumptions and its main themes as well as the foundational philosophy that frames its research questions and theoretical and methodological approaches. 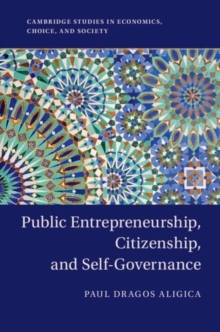 This book will be of interest to students and scholars of social science, especially those in the fields of economics, political sciences, sociology and public administration.